Generally, owner compensation consists of four pieces: clinical compensation, management compensation, fringe benefits and profit distribution. 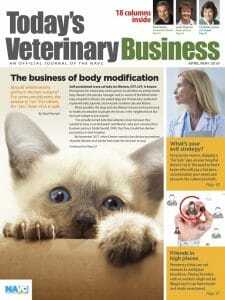 Veterinary practice owners often see their hospital as more than an investment. For many, it is a passion, a calling or a life choice. Few private buyers acquire a hospital with a primary goal of making as much money as possible. The money is important, of course, but creating a legacy is sometimes of equal or higher importance. Many misunderstandings exist regarding how to pay hospital owners. The topic gets more complicated as practice managers and veterinary nurses become owners in their own right. The question is difficult to answer without in-depth knowledge of the practice and the owner’s role. Practice owners have found a number of ways to compensate themselves, from something as plain vanilla as a flat salary to highly creative plans that are difficult to understand let alone explain to a payroll company. Generally, owner compensation consists of four pieces: clinical compensation, management compensation, fringe benefits and profit distribution. 1. Clinical compensation is easy to explain. Owners who fill clinical roles as veterinarians or veterinary nurses should be compensated for the work. Using production-based pay or ProSal makes sense for doctors. Owner-doctors are paid at the same rates as associate veterinarians. For owners who are veterinary nurses, this portion of compensation should be in line with what another nurse with a similar background earns. Owners who are practice managers do not earn clinical compensation. 2. Management compensation is the pool of money allocated to pay all managers in the practice for their management duties. The pool depends somewhat on the size and complexity of the practice, but the customary amount is 1 to 6 percent of gross annual revenue. The portion of the management compensation budget that can be paid to owners relates to the management roles they play. An owner who is a full-time practice manager or hospital administrator will earn a sizable portion of the budget. 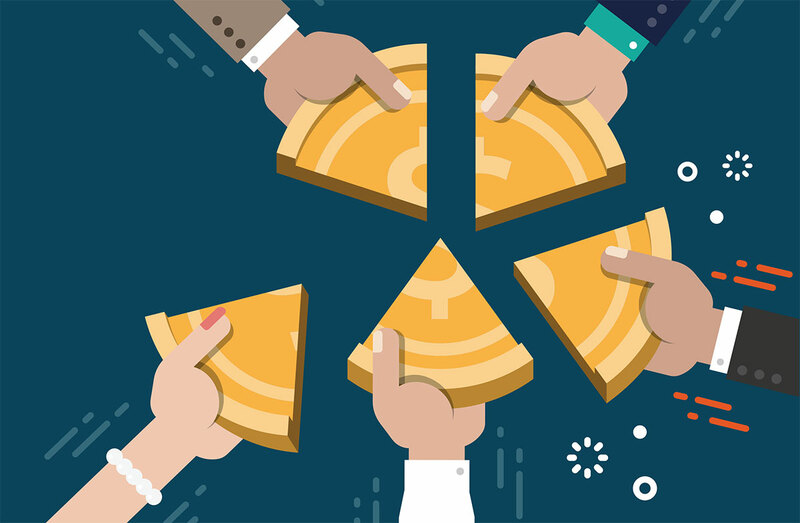 If the owner does little management, usually because the team has qualified managers, the owner may be allocated one-half of 1 percent of gross revenue. The budget for management compensation is shared among all management staff but only for the portion of their jobs that is management-related. An office manager might create the schedule for client service representatives but spend most of her time assisting clients at the front desk. If she spends four hours creating the weekly schedule, just 10 percent of her compensation is allocated to management. The remainder is allocated to front desk compensation. The same concept applies to a head veterinary nurse who has some personnel management responsibility but spends a great deal of time caring for patients. 3. Fringe benefits comprise a third type of owner compensation and represent some of the more creative compensation schemes I see. When hospital owners receive benefits above and beyond what employees receive, the extra benefits are considered additional compensation. These might involve an owner’s personal vehicle, tickets to cultural events, charitable giving or the living room drapes (true story!). Such benefits go beyond the scope of what employees receive and represent additional compensation. In truth, such benefits are a form of profit distribution. 4. Profit distribution refers to the payout of profit to owners throughout the year. Businesses generally do not distribute 100 percent of profits because to do so could require all the cash the business has in the bank or more. Even when businesses could pay out all the profit to owners, they often do not. The money could be put to better use in the short term, perhaps by acquiring new equipment, doing minor remodeling or paying off a business loan. The IRS has strict rules for how profit is distributed among owners. If the hospital is organized as a partnership, the rules are different than if the hospital is an S corporation. Any profit that is distributed may need to be in proportion to the ownership percentage. For example, a 20 percent owner has the rights to 20 percent of the profit and may not receive more or less. The IRS also limits profit distribution in some cases, so work closely with a tax accountant to determine appropriate distribution levels. If the hospital owners also own the real estate, facility rent payments above a fair market rate also represent a form of profit distribution. Work with a tax accountant to arrive at the best lease rate, one that benefits the hospital, the real estate company and the owners. Many owners are eager to earn a return on investment in addition to their clinical and management compensation. ROI is one of the benefits of ownership but is never guaranteed. If the practice isn’t growing, if the pricing isn’t adequate or if the payroll is too high, little or no profit will be generated and therefore nothing will be returned to the owners. Other times, profit must be reinvested to prepare the practice for growth. Ideally, these reinvestments lead to greater profit, but the timeline for recouping the investment is not guaranteed. All owner clinical and management compensation that is consistent with how others in similar positions are paid is a normal wage/benefit expense of the business. In other words, whether the owner or someone else is performing the duties, the compensation would be the same. Any owner compensation above these normal wages and benefits represents discretionary use of profits. Whether the money is distributed as cash or is taken in some other form, such as a cell phone or season football tickets, the remaining profits available to the hospital are reduced. While a lower profit can mean lower taxes, a lower practice value can result when the time to sell arrives. Be sure to work with your accountant and with veterinary business valuation experts at least three to five years before a sale to make sure your books are in order and that the practice’s true profitability is reflected in the financial statements. A final note: The information presented here represents normal compensation for veterinary hospital owners. The amount paid to business owners as salaries or guaranteed payments can have significant tax consequences. Every situation is unique, and you should not change your compensation without consulting a tax adviser. Money Matters columnist Leslie A. Mamalis is the owner and senior consultant at Summit Veterinary Advisors. Learn more at www.summitveterinaryadvisors.com.